In an exclusive interview, the Chairman of the European People's Party in the European Parliament and Spitzenkandidat for the presidency of the Commission, Manfred Weber, commented on the current developments in issues related to the European political agenda, with particular emphasis on Greece. «My priority will be to bring closer to the people. I want people to feel that Europe is their home and that they are at the core of the European project», the German official stressed. In an exclusive interview, the Chairman of the European People's Party in the European Parliament and Spitzenkandidat for the presidency of the Commission, Manfred Weber, commented on the current developments in issues related to the European political agenda, with particular emphasis on Greece. «My priority will be to bring closer to the people. I want people to feel that Europe is their home and that they are at the core of the European project», the German official stressed. At the same time, he welcomed Greece's exit from the economic adjustment programme, noting that the major efforts of the Greek people were not in vain. «There have certainly been mistakes on both sides, but looking forward, I am confident that a new government under the leadership of Kyriakos Mitsotakis will do what it takes to attract investment and bring back Greece on the pathway of growth and sustainable development», he added. Referring to the upcoming European elections, he highlighted the need for Europeans to participate, expressing his desire for an ambitious Europe that offers hope and optimism to its citizens. 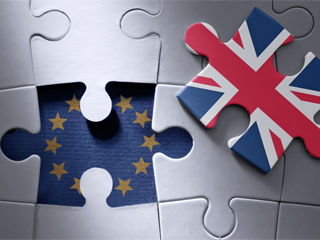 The special report «EU-Taiwan: Launching a new era of strategic partnership» analyzes the multiple economic benefits of implementing the EU-Taiwan Βilateral Ιnvestment Αgreement (ΒΙΑ) and its contribution to European business. Taiwan’s Ambassador, Sherman Kuo, expressed his optimism about the efforts of the two partners to complete the preparatory phase of the talks before conducting the impact assessment and launching negotiations, while pointing out that the EU has the largest share of investments in Taiwan. «Despite the slow progress, Taiwan has expressed its desire to start negotiations with the EU on the Bilateral Investment Agreement aimed at strengthening bilateral relations through business and trade», Mr. Kuo said. In addition, the article «Europe: The psychological gap between East and West» examines the root causes of the gap between Eastern and Western Europe against the backdrop of the upcoming European elections. Starting from the historical beliefs that demonstrate the differentiation of perceptions on both sides of the Old Continent, it is clear that Eastern and Western Europe do not seem to share similar political psychology. However, the author of the article insists that the EU remains a «liberal democratic project», which is sometimes imposed. In this context, he stresses the need for a new, fruitful dialogue among the European countries in order to bridge the gap and eradicate the prejudices. Taking note of the current economic reality and the impetus of international business, EBR includes the article «Why Asia’s future is female» focusing on the gender pay gap and the labor market inequalities in Asia. According to the Asian Development Bank (ADB), the number of female workers is lower than that of men. In an effort to effectively combat this major issue, the authors propose some measures such as the elimination of gender stereotypes through education, the empowerment of women in public life and decision-making, as well as the promotion of female entrepreneurship. Last but not least, the new issue contains unique photographic material from the exhibition «Charles White: Α Retrospective» which takes place at the Museum of Modern Art in New York (MoMA) in January 2019. In an exclusive interview, the Associate Curator of the Department of Drawings & Prints, Esther Adler, explains the influences of the artist, which are reflected in his works, as well as his artistic anxieties that surpass the stereotypical patterns of art. 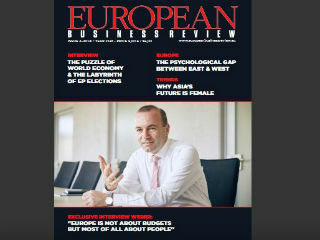 Read the European Business Review online here.